Great songs need certain elements. They have to be well-written, recorded, and performed. But most importantly, they have to sound great. 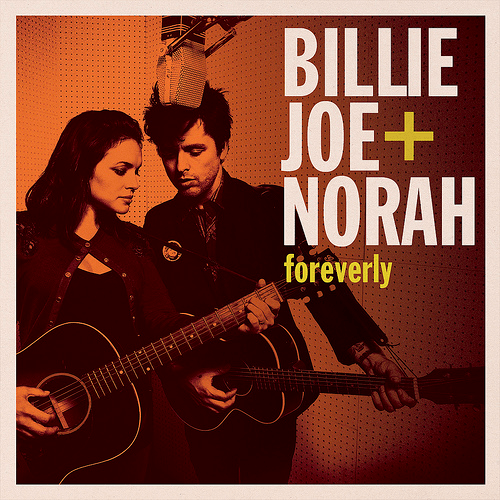 The unlikely pairing of crooner Norah Jones and pop-punk artist Billie Joe Armstrong (Green Day) has produced a great album of ballads called Foreverly. This album is inspired by an Everly Brothers release of traditional Americana songs from 1958 called Songs Our Daddy Taught Us. Foreverly is a very country-sounding album, with Jones and Armstrong interpreting the traditional rootsy songs with honesty and true talent. Jones can never do wrong. However, Armstrong, who typically sings with a pseudo-English vocal accent, offers a big surprise with a soft, warm, melodic voice that blends beautifully with Jones’. Armstrong’s guitar work and Jones’ piano are spot on. The song “Long Time Gone” has been hitting the radio airwaves on regular rotation, but I highly recommend the complete album for your listening pleasure.